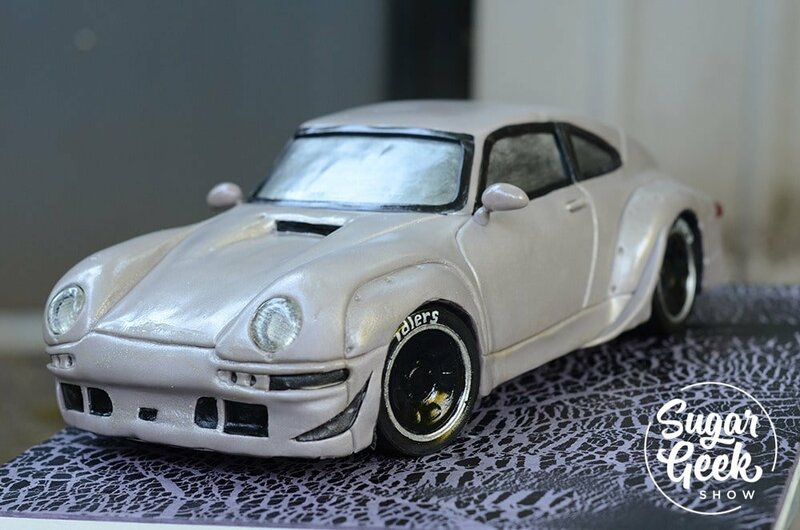 Porsche 911 Turbo Car Cake is the ultimate in car cake tutorials. Car cakes can seem really challenging because every one is different! It’s hard to keep proportions from every angle and know how to achieve that perfect shape. This tutorial teaches you everything from what cake to use, how to get that perfect shape and how to make great details like realistic wheels, working headlights and a shiny exterior. The perfect cake for the car lover in your life! I admit, I don’t love making car cakes. Especially cakes like the Porsche 911 Turbo Car Cake because it’s SO well known and loved by it’s fans, if I don’t get it perfect, they will know. That’s a lot of pressure. Even more pressure, this cake is being made for a guy that MAKES Porsches for a living. 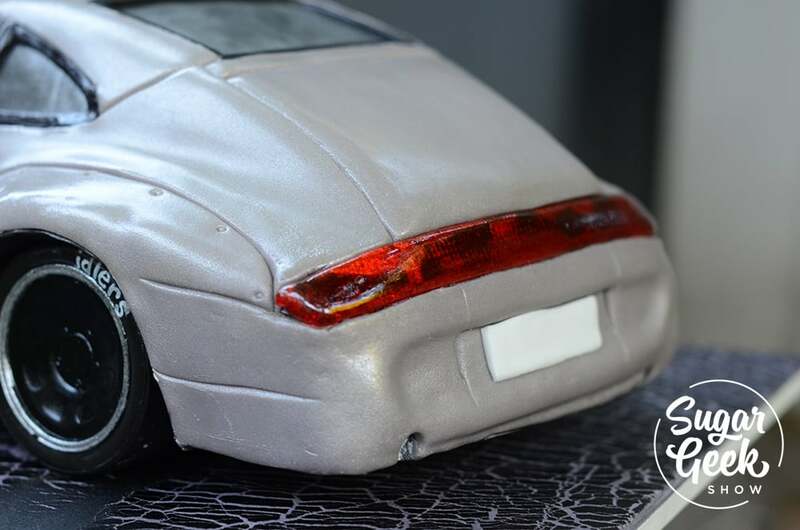 He’s busy customizing one for a high end client and of course what better way to celebrate than a cake that looks exactly like the car. Everything is exactly as specified, even down to the brand of the tires, the paint color and the shape of the side view mirrors. Over the years I have developed a few techniques to help me keep my proportions perfectly, speed up the process and nail that design so my clients are happy and I get to keep my sanity.